The Town received approval from CDOT to implement a 35 mph speed limit through the road work areas, along East Main Street and US-36. Please note that fines are still doubled for speeding violations through this area. 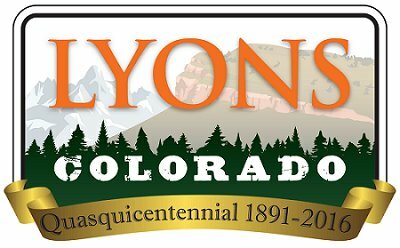 A public forum is available on the Town's website to allow feedback and ideas for the Lyons Primary Planning Area Master Plan process. The project coordinators will continuously monitor the forum. All properly submitted feedback will be given equal consideration to that of public input collected from planning workshops. In addition, the March 17 Eastern Corridor planning workshop presentation is now available on the Town website. Last week, a bear sighting was reported in Town, around Ewald Avenue. Please remember that bears that are attracted to human food sources can damage property, vehicles and homes. Bears that find food around homes, campgrounds, and communities often lose their natural weariness of people, and consequently, become more comfortable and aggressive in attaining food. When bears become too comfortable around people, Colorado Parks and Wildlife (CPW) must intervene by either relocating or humanely euthanizing the bear if deemed a threat. By staying informed and taking preventative measures, you can help save bears by keeping them wild and away from human areas. CPW offers a range of resources for living in areas with bears. Please do your part in bear-proofing your home and property, to help keep bears alive. There have been several recent reports of local Craigslist scams. Sgt. Goldberger advises to always be cautious when buying or selling through Craigslist, and trust your instinct. He notes, "If it's too good to be true, it probably is." Boulder County and its municipalities are providing an incentive for people to leave the gas pump, by offering discounted rates on electric vehicles and electric bikes. In 2015, the program facilitated the purchase of more than 750kWh of residential rooftop solar and more than 248 electric cars across the Front Range, equating to 5% of all LEAFs sold in the nation between September and December in 2015.